Two Easter bunnies have paid a trip to Howards and visited one of our dealerships! Can you spot where they are hidden in this video? Guess correctly and you will be in with the chance of winning a chocolate Easter egg gift set! For runners up, we also have three £10 Hotel Chocolat vouchers to give away. To enter, simply comment on our Facebook post with the name of the 2 cells which contain the Easter bunnies, for example A/1 & A/2. One winner will be chosen from those who guessed correctly and we will choose 3 runners up who will each receive a £10 Hotel Chocolat voucher. You have until Thursday the 24th of March to enter! Winners will be announced on Thursday at 9:30am. 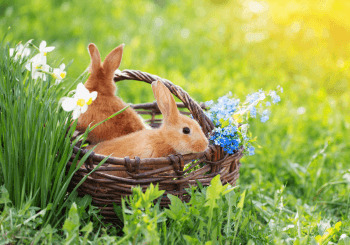 If you can spot the Easter bunny in this video, head over to our Facebook page and enter our competition now > Howards Group Facebook. - All entries must be posted on the Howards Facebook page. You can enter by posting a comment on the competition Facebook post. - Winners to be announced on Thursday 24th April at 9:30am, entries after this will not count.